Today is our third reveal day for our March Release! 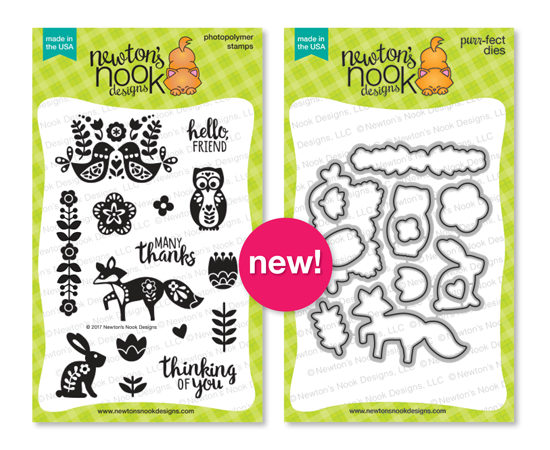 We are back today featuring a the fun new bold Cottage Garden stamp set and coordinating die! We are giving this stamp set away one lucky winner so make sure you read all the way to the bottom of this post to see how to win! Let's see some incredible spring cards by our Design Team! 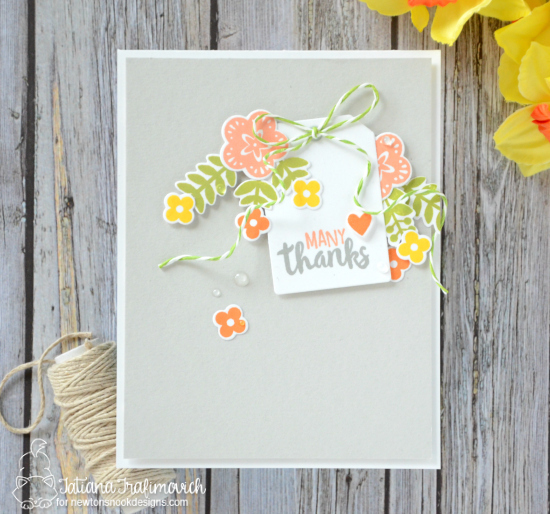 This lovely card by Amanda has such a fun layout! She created a this super cool pattern using the owls and flowers from this set in fun bright colors! This simple and elegant design by Jennifer uses the image of the folk art birds in stamped in navy to create a lovely one color card! She also used our new Sky Borders Die Set (revealed on Monday's post) to create the scalloped edge! Juliana stamped and embossed several of the images in white and then layered distress ink over the top! 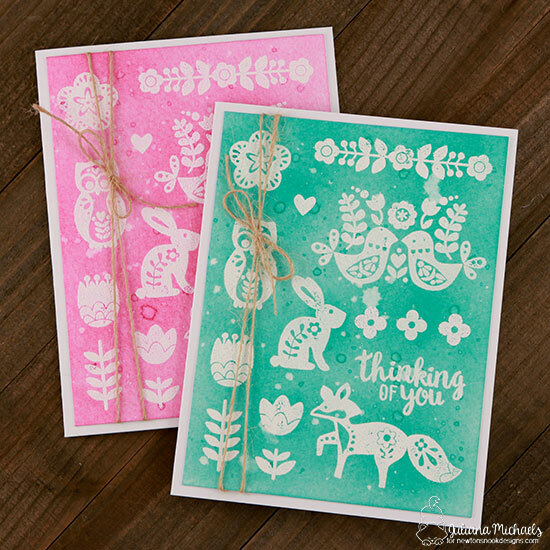 What a fun way to create quick and lovely cards! Tatiana created this lovely card! The flowers bursting around the tag are so pretty and the color combo is so perfect for spring! She also used the tag from our Tags Times Two Die Set. Samantha created this gorgeous scene! 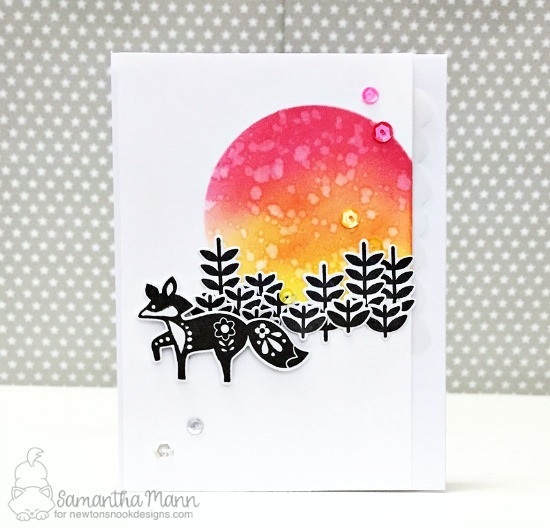 She stamped the fox and leaves using simple black and layered them in front of the lovely distress ink circle that looks like an amazing sunset! So pretty! Naki created this fun card using colored embossing powders on the images and a fun kraft cardstock base! 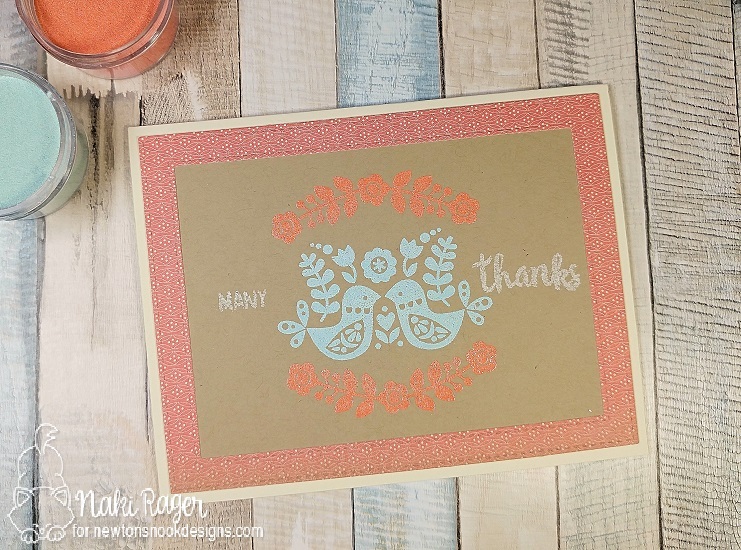 It's so fun how she curved the long flower stamp around the top and bottom of the bird image! This gorgeous card by Ellen uses several of the images stamped in black to create a pattern and then a fun pink ombré distress ink background! What a fun way to create an elegant greeting! This sweet and simple card by Holly shows how you can create a lovely card using just one image and some pretty ombré ink! The bold images in this set are perfect for this effect. Maria created this sweet card using soft pastels and the fun bird image as a focal point. She added a birdcage behind them and the branches and bow from the Pines & Holly Die Set on the top! Larissa also stamped her images in black but then added fun color around all the edges! What a fun technique to create a gorgeous card! Woah, I love this set! It's even more beautiful than I thought it would be judging from the sneak peek. I got to have this one! Love it... it just keeps getting better and better! What a cute silhouette set! I love all the cute critters you slipping into it Jen! Another winner! Fabulous--love the folk art look. I love, love, love this gorgeous collection! The folk art look is one of my favorites. Great set! Beautiful collection, this total March release! Great stamp set! Love the addition of the critters to the folk art look. all cards are wonderful and stamps are so nice! I was really impatient to see this stamp set in action! And wow! Everyone came out with amazing creative projects! Love love love this set! It's so unique and fun to use!!! This stamp set is also so cute! Little animals and flowers, lovely! And the cards everyone has made, they are amazing!! I love this stamp set, so fun! What a terrific stamp set and beautiful cards! Wow, I am loving these!!! Beautiful work by the team too, off to hop! Loving this folk art look! Love the style of this Cottage Garden set! Awesome cards to show off this delightful set! Beautiful stamp set and very unique!! So the wish list grows....these are gorgeous stamps! Another great stamp set! This one is so different from the others so far. Love the black and white cards with this stamp too. Could see lots of Spring cards with this stamp. Jennifer, another FANTASTIC release! These are all such great examples of how many ways to use this pretty set! Great work ladies! Pretty images...love the variety of sentiments too. Love these stamps! They have a Scandinavian feel, which is lovely. I am in love with this set. Such a versatile stamp set. All the cards are just gorgeous.